When you learn about women in history, it’s hard not to wonder: why do they all seem so prim and proper? The truth is, you’re probably not being told the whole story. Also, (mostly male) historians keep leaving out or glossing over some of the most badass women who ever walked the surface of this planet. Fake news! So, if you think that Nasty Women are a new thing, think again. They’ve always been around – you just haven’t always heard of them. These are the 100 Nasty Women of History who gave zero f*cks whatsoever. These are the 100 Nasty Women of History who made a difference. These are the 100 Nasty Women of History whom everyone needs to know about, right now. 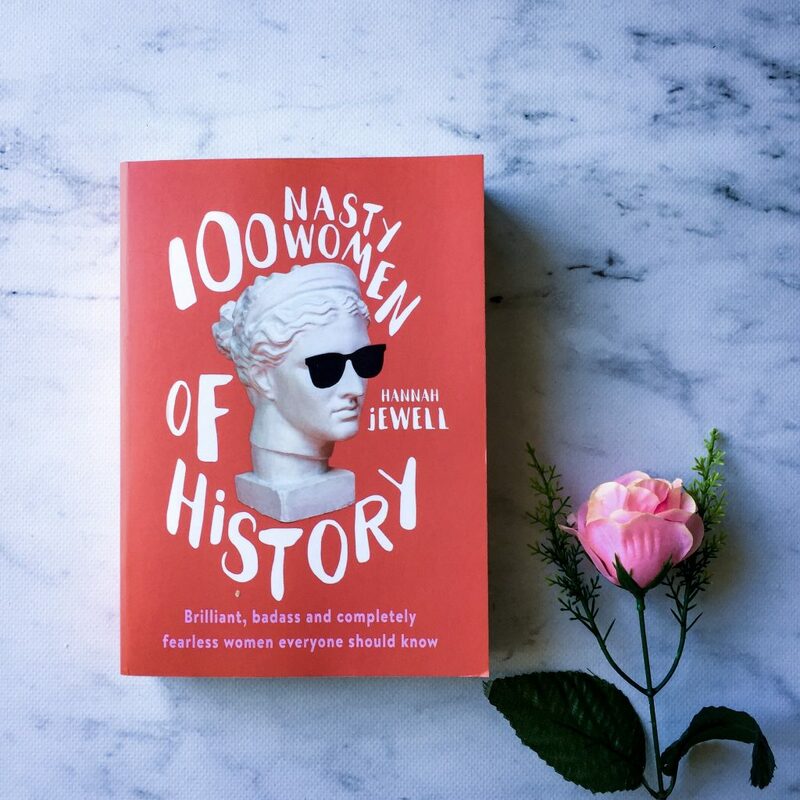 100 Nasty Women of History is about powerful women of history. It’s a funny, entertaining way of learning about the boldest and bravest women of history. It’s important to note that is a bit of swearing in the book, so even though this book is educational and informative, it’s not for children. This is actually a really interesting read. There are so many women in here whose designs or actions paved the way for the future, and yet I’d never heard of them before. Some died young, some died old, but they all managed to achieve something pretty incredible before they departed this world. I did feel like Hannah’s humour and sarcasm fell away after halfway through the book. There was definitely more wit and jokes in the first half of the book than the second, and I wish that was more consistent throughout. I’d recommend this book to feminists and other powerful women. It’d also be a great Christmas stocking filler too!